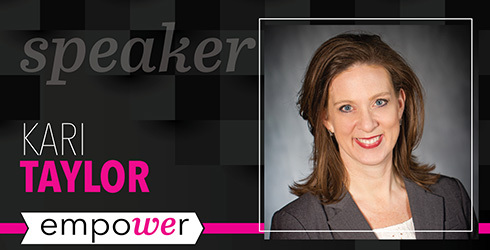 The Greater Scranton Chamber of Commerce has announced Kari Taylor as a speaker for this year’s Empower conference. Kari Taylor joined Benco Dental in 2016 as Chief Revenue Officer responsible for executing Benco’s growth strategies and delivering a best-in-class customer experience through a national branch network of sales and service associates. Prior to joining Benco, she was at W.W. Grainger, Inc. as Functional Vice President of Territory Sales for the U.S. business. Before Grainger, she held a number of leadership roles at Office Depot, Inc. and at Sun Microsystems, Inc. She is an alumna of California State University, Hayward and earned her MBA from Golden Gate University in San Francisco. She continued her executive leadership education at Universidad de Navarra, IESE Business School in Barcelona, Spain as well as at Florida Atlantic University.